The Sims 3’s latest expansion isn’t entirely ambitious, but it’s loaded with great new content and goofball charm. 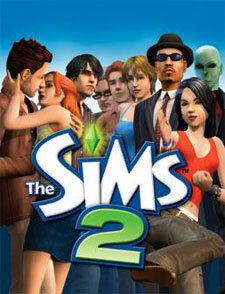 The Sims 3 Ambitions allows players to control their sims while they are at work in a variety of new careers. Instead of sending your sims off to work all day, The Sims 3 Ambitions lets you pick a career like firefighting, investigator, architect, ghost hunter, stylist, or doctor and then guide your sim to make choices and succeed (or fail) every step of the way. You can also make your sim a tattoo artist, sculptor, or inventor. New creature: Servo. Servos are built by Sims who have inventing skills. New Build mode abilities: modify the pitch of individual roof sections and add multistory columns. Inventing: There seems to be a wide variety of inventions. Servos are back, along with a time machine. Sims get scraps for inventions from scrapyards, a new type of lot, or by blowing things up. Tattooing: Players are taken to the tattoo editor where they can choose tattoos with up to five layers, modify their colors, change the size, modify the opacity, and select where to place it: upper, lower, or full back, neck, ankle, chest, stomach, wrist, shoulder, bicep, or forearm. (Previously seen in The Sims 2 for PS2). Control Simâ€™s actions and interactions while theyâ€™re on the job. 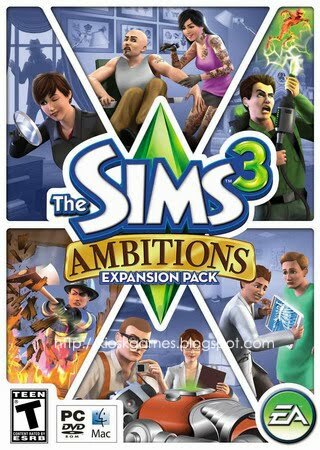 According to a member of The Sims 3 staff, Sims will even be able to manage their careers to an extent while the player is not controlling them. On-the-job choices now change the town and affect other Sims as well. Players modify the townâ€™s structure as an architect or set neighborhood fashions as a stylist. 6 new jobs (not counting skill careers): architect, doctor, firefighter, ghosthunter, private investigator, and stylist. Contrary to popular belief, Sculpting, Inventing and Tattooing are new skills, not new jobs. New objects: fire engine vehicle, personal fire extinguisher, detonation packs, tattoo chair, lockpicking kit, trampoline. New traits: Savvy, Eccentric, Dramatic, Environmentally Conscious, and Perceptive. Ability to register at City Hall to be self employed in a “Skill Career” for writers, fishermen, and gardeners. Overhauled real-estate system that lets the player purchase and upgrade any community lot building. In a French language interview it was stated that Sims would be able to do laundry (“lessive”). There is a possibility that satellites will return, or that there will be new meteor showers. Balls of fire falling from the sky were depicted in the second trailer, however this may have been for dramatic effect rather than an upcoming feature.